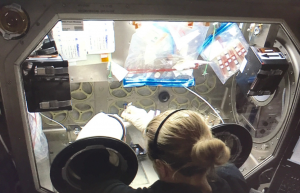 My passions for the very large (outer space) and the very small (stem cells) came together in ways that I could have never predicted this summer when I sent patient-specific, beating human heart cells, to the International Space Station aboard a SpaceX Falcon 9 rocket. As mankind spends more time in space, with the imminent goal of traveling to Mars, we need to better understand how human cells function in a nearly weightless, or microgravity, environment. Recent scientific advances have made it possible to mass-produce long-lasting, stable human heart muscle cells (cardiomyocytes). My colleagues and I have spent several years working to generate these cells from stem cells, and our efforts paid off when we recently sent a sample of cardiomyocytes to the International Space Station to study cardiac function. My interest in cardiovascular regenerative medicine was born when I was an undergraduate student at Duke University, after learning about the work being conducted in the labs of Dr. Ken Poss and Dr. Gerry Blobe. I devoted myself to cardiovascular regenerative medicine, trying to understand ways that the human heart might be able to restore lost cells similarly to how a zebrafish can regrow heart muscle. At Duke, I was fascinated to learn about induced pluripotent stem cells (iPSCs), a type of stem cell derived directly from adult cells. I could see the potential that these cells hold to treat cardiovascular disease. At the Harvard Stem Cell Institute’s summer internship program, I got my first hands-on experience with making beating cardiomyocytes from iPSCs. My summer stem cell experience, while exhilarating, left me thirsting for more. So, I enrolled in the Stanford University’s new PhD program in Stem Cell Biology and Regenerative medicine. Over the past four years at Stanford, I have devoted my scientific studies to making stable, long-lasting cardiomyocytes from iPSCs. With this new cell system, we can better model cellular changes in the human cardiomyocyte’s response to microgravity. In the past few months, I have had the chance to interact with astronauts, aerospace engineers, and fellow biologists, all of whom are passionate about space science and understanding how the human body functions in space. With the aid of biologist and astronaut Dr. Kate Rubins, who is currently aboard the International Space Station, we have been able to examine iPSC-cardiomyocyte changes in form and beating rate using short video clips taken aboard the station’s light microscopy module. Dr. Rubins also preserved a small sample of cells for gene expression analysis and “fed” the cells to keep them healthy. Another sample of cells was recently returned to us alive, and I’m happy to say, they are still beating. Heart cells are certainly tough, even in the face of adverse conditions such as low gravity! We are very excited to see what our further analyses of these space-flown heart cells will reveal. Our studies may uncover novel insight into how the heart functions in a unique environment such as microgravity, and hopefully, our work can aid humanity as it pushes further into the stars. Ultimately, my experience this summer would not have been possible without the opportunities I had at Duke almost a decade ago that led me down the path towards a career in regenerative medicine. The sky is not the limit for regenerative medicine at Duke University! Arun Sharma (Duke Trinity Class of 2012) holds the BS from Duke University and is currently a PhD student at the Stanford University Stem Cell Biology and Regenerative Medicine program under the mentorship of Drs Sean Wu and Joseph Wu. 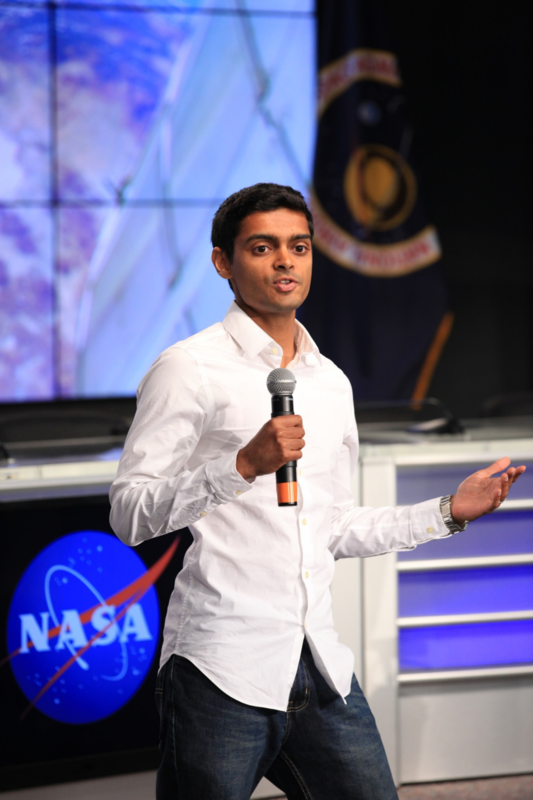 He is a graduate of the Harvard Stem Cell Institute’s Summer internship program.